It was a very exciting weekend for tennis fans in Ottawa recently! The prestigious Davis Cup by PNB Paribas event was hosted at TD Place as one of the premiere 2017 events in our capital city. Tennis Canada and the International Tennis Federation oversaw the hosting. The Davis Cup is the top international tennis event for men, held between countries in a knock-out format and dating back to 1900. By 2016, over 135 different nations sent teams to compete for the Cup in various host cities around the globe. 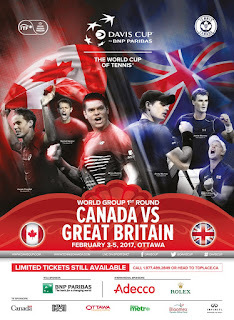 Bloomex was delighted to be one of the national sponsors of the Ottawa event which saw Canada take on Great Britain. Wednesday, the Official Dinner was held at the National War Museum and Bloomex was delighted to supply beautiful dinner cerntrepieces for the tables, and arrangements for the stage. A wonderful evening was enjoyed by players, politicians and special guests. The Official Draw took place on Thursday at Parliament Hill, in which the various matches were arranged. Bloomex provided the centrepieces to accent the main table for during the draw and the press conference. Friday saw the very exciting matches get underway. The crowd was at capacity and the entire weekend was an enthusiastic chorus of cheering, national flags and colours, in addition to some superb competition. In its role as national sponsor, Bloomex provided the lovely flowers and centrepieces for the VIP area as well as along the court and President's Box. 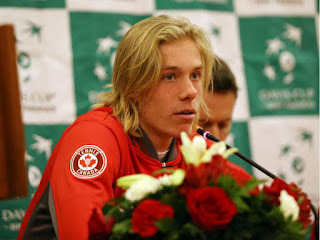 Denis Shapovalov faced off against Britain’s Dan Evans for the opening singles match on Friday afternoon. The second singles match Friday saw Vasek Pospisil, take on Britain’s No. 2, Kyle Edmund. Canada's Daniel Nestor played Britain’s Jamie Murray and Dominic Inglot in Saturday doubles, while on Sunday, Pospisil-Evans and Shapovalov-Edmund were matched in further singles competition. Canada had a superb showing, finally succumbing to Great Britain in a rather heartbreaking default. Click to read more. The crowd attendance in Ottawa was outstanding! 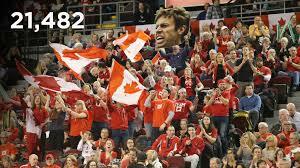 An amazing 21,482 people joined in the action over the course of the weekend, setting the record for the largest Davis Cup attendance number ever recorded in Canada! . Bloomex was proud to be a national sponsor of this exciting and prestigious event! Read more about the Davis Cup Ottawa tie at Tennis Canada. 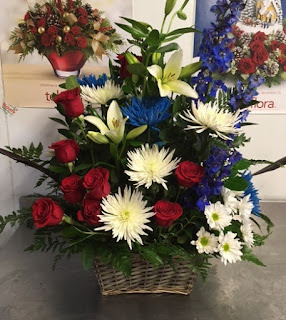 Visit us at the Bloomex website to learn more about Bloomex and to order your own beautiful flowers.